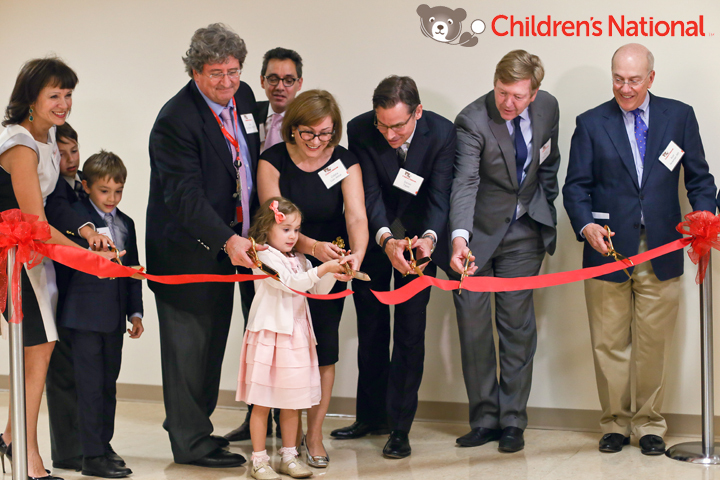 Children’s National Medical Center commemorated the opening of the Fetal Medicine Institute at their Sheikh Zayed Campus on Michigan Avenue in NW Washington DC. The Institute serves as a resource for diagnostic testing and consultations for families with a high-risk fetus. Those working at the Fetal Medicine Institute strive to provide the most advanced and comprehensive care for unborn babies with known or suspected medicinal conditions in a compassionate and supportive environment. Speakers included, Dr. Kurt Newman, Dr. David Wessel, Dr. Adre du Plessis, and Cidalia Luis-Akbar. The Institute is comprised of more than 50 specialists from a wide range of disciplines involved in maternal, fetal, prenatal, and neonatal and pediatric medicine, to include Adre Jacques du Plessis, Catherine Limperopoulos, PhD, MBChB, Mary Donofrio, MD, and Dorothy Bulas, MD. The highest priority of the Institute will be to rapidly push forward improvements in diagnostic tools employed during high risk pregnancies. Current diagnostic options provide medical professionals with just a small piece of a vast and complex picture. Heart defects, fetal growth issues, genetic abnormalities, and other problems are typically only identified during abnormal ultrasounds, an approach that has not changed for decades. Having such a limited ability to monitor fetal development endangers the child’s future health, as high risk factors during pregnancy often result in abnormal brain development or cause brain injuries during gestation that affect other organs and create a host of later-onset issues. In November of 2014, Cidalia Luis-Akbar and Natalia Luis will undertake an arduous journey to reach the summit of Mt. Kilimanjaro in an effort to not only raise support, but also awareness of the need for earlier, more accurate diagnostics during high-risk pregnancies and help set a new gold standard of care that gives even the most fragile newborns the best chance to survive and thrive as healthy adults. They hope their ambitious trek will offer new hope to premature babies, lifesaving treatments to those who come into the world with heart defects or other conditions and enhanced clinical care to halt the future onset of health concerns with origins in fetal development. Click to read more information on The Fetal Medicine Institute, Children’s National Medical Center, or how you can further help.